Unearth the World often works with universities to plan customized, ethical and reciprocal global service learning programs. We also find it incredibly important to stay updated and knowledgeable on the pedagogy behind Global Service Learning (GSL). As some of you may know, there is quite a bit of academic theory around why and how to practice GSL responsibly. Unearth the World recently attended the 5th Annual Global Service-Learning Summit held at the University of Notre Dame and it was the perfect place for us to reconnect with colleagues in higher ed and continue to deepen our knowledge about the growing field of GSL. Joined by a few hundred faculty, practitioners, students and research fellows in the fields of service-learning and global education, Unearth the World spent three jam-packed days attending sessions, presenting about our work and building relationships. 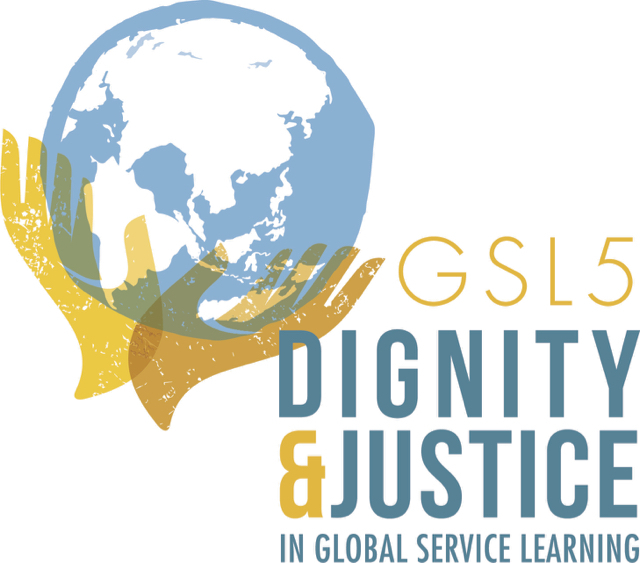 The theme of this year’s summit was “Dignity and Justice in Global Service-Learning” and the organizers aimed to create a space for active listening and critical dialogue. According to the event’s website, the sessions and keynotes aimed to bring awareness to the “history, richness of values and moral dimensions in higher education” while navigating the roles of “faith-based and secular institutions in supporting community and international development, civic and political engagement, democracy and human rights, while also educating students as faith-filled people and/or socially responsible global citizens.” Unearth the World found that this fascinating mix of faith based institutions with secular institutions not only promoted interesting conversations but also meaningful sharing across various stakeholders. Below, we have provided a few highlights and takeaways from some of the sessions that we participated in. If we had one critique of the summit, it was that there were a seemingly endless number of sessions. This made it very difficult to choose which ones to attend but we found ourselves gravitating to those focused on giving voice to community partners and facilitating dialogue between volunteer sending organizations (VSOs) – like Unearth the World – and universities. Focus on social justice versus charity. Critical reflection is KEY – all participants need this to synthesize what they have learned. Post-trip activism and re-orientation needs to be intentional and robust. Unearth the World also really enjoyed a session called Aligning university and third-party service-learning programs. In it, members of The Ohio State University’s Office of Service Learning explored and discussed the process they went through to identify which volunteer sending organizations to work with. With an even split of university representative and VSOs in attendance, the conversation was rich and focused on what attributes are most attractive for VSOs to have. Transparency, a commitment to health and safety, mission alignment, long-term partnership and a focus on pre/post-trip support were at the top of the list. In our experience, it is rare to have such candid conversations between universities and VSOs so we loved every minute and hope that it can lead to future growth and collaboration. Our other favorite sessions allowed for collaboration and sharing from community partners around the world. These important voices need to continue to be heard as the field of GSL grows. Overall, Unearth the World found great value in attending this year’s Global Service-Learning Summit. We were thrilled to note that it also reinforced that we seem to be approaching GSL with the critical and intentional eye needed to succeed in making positive impact while simultaneously avoiding falling into the traps of the growing marketization of the international volunteer sector. As such, we are committed to building upon the learning and conversations that began at Notre Dame to allow for the improvement and growth in our programs around the world.